About the moment that I stepped off the plane from England, everyone in our family got sick. Tehilla seemed to have a virus that got worse and worse. It finally developed into an ear infection, while the rest of us were diagnosed with strep infections. Five antibiotics handed out twice a day...feels a lot like winter. Tehilla went back to school a few days later when she was symptom free. But the past few days she has been napping and a little lethargic. Today, I was called to school because she threw up. While all the various teachers clucked around her offering their old wives tales as medicine, I studied Tehilla's face. She was purplish and looked unwell. I changed her clothes and pulled my pulse ox out of my purse. 73 and then 78. Not good. I called our doctor who wanted us to rush to the ER. I didn't agree. 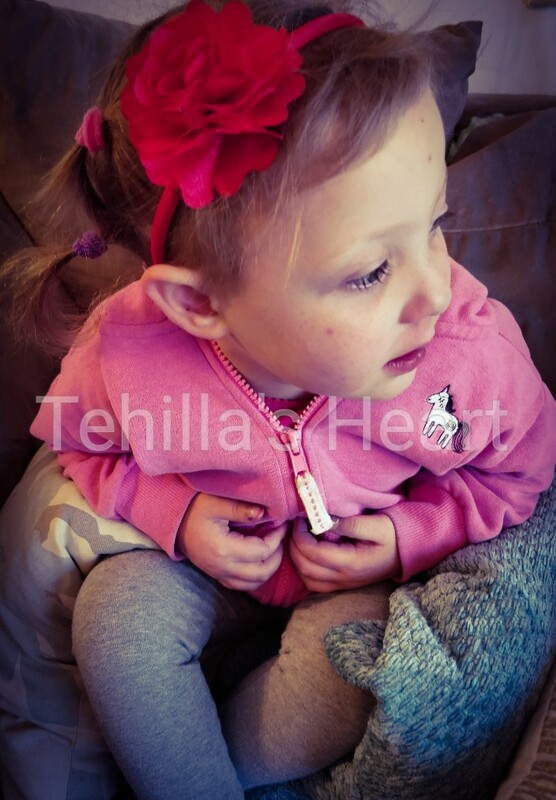 Tehilla desats when in pain and this has happened repeatedly with ear infections. I wanted her to be seen but our doctor was leaving the office and the doctor on call is someone we don't like or rely on for medical advice. I don't want to go to the ER with all the nasty illnesses going around now and risk exposure to Tehilla. I talked it out with our doctor who agreed it's probably that her antibiotics aren't working or it's progressed to pneumonia. He wrote a prescription for Augmentin and a referral to the ER. We are to start her on Augmentin right away and if we see any other signs or think she is heading downhill, we are to go to the ER. We are so blessed to have a doctor who fully trusts our judgement and is willing to work with us. Prayers that I'm right and we don't have to run to the ER tonight. Refuah Shlemah!! I pray she heals quickly and soon. Refuah Shlemah! May she heal quickly and soon.